Increases Good Cholesterol: According to a study published in the British Journal Of Medicine, daily intake of cranberry juice can improve good cholesterol levels by 10% and the blood antioxidant capacity by almost 21%. Checks Respiratory Infections: Studies reveal that cranberry juice can reduce bacteria that are commonly known to cause ear and respiratory infections. Prevents Urinary Tract Infections: E.coli associated with common UTI problems can be controlled with regular intake of cranberries. Provides Antioxidants: Phytonutrients and flavonoids present in cranberries attack free radicals and control the aging process. These nutrients also improve memory and functioning of the immune system. 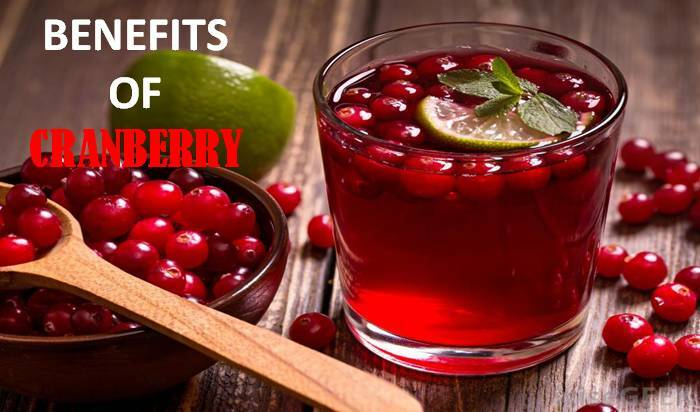 Prevents Prostate Cancer: As per a study published in The Journal of Nutrition, 2007, regular intake of cranberry juice can prevent growth of cells that can lead to cancer. But remember, overeating or drinking too much cranberry juice can lead to cavities, diarrhea, hypertension, and other gastrointestinal disturbances. Choose bright red and succulent cranberries. Avoid light or brown-colored berries. They should be stored in a cool place. It can be safely refrigerated for weeks or a month and stays approximately a year in the freezer. However, the best cranberries are the fresh ones.